Create a functional and gorgeous showering space with the Merrick GS Frameless Neo-Angle Shower Enclosure with Glass Shelving. This corner model's minimalist stainless steel constructed hardware and stunning frameless design-work will instantly create a beautiful focal point in your bathroom. The premium clear 3/8 inch tempered safety glass;tested and certified to ANSI Z97.1 Standard with StarCast by Enduroshield easy clean coating ensures your Aston enclosure stays beautiful for years to come. Featuring a 1inch inline wall channel, this unit provides a seamless integration with out-of-plumb walls. Its hinged door is designed for left or right-hand installation to accommodate any application. The GS line provides an integrated two-tier glass shelving system, adding convenience and functionality to your showering experience. Shower base not available. Images are for representation only. Once installed, glass may differ slightly than shown in image due to light absorption and reflection. 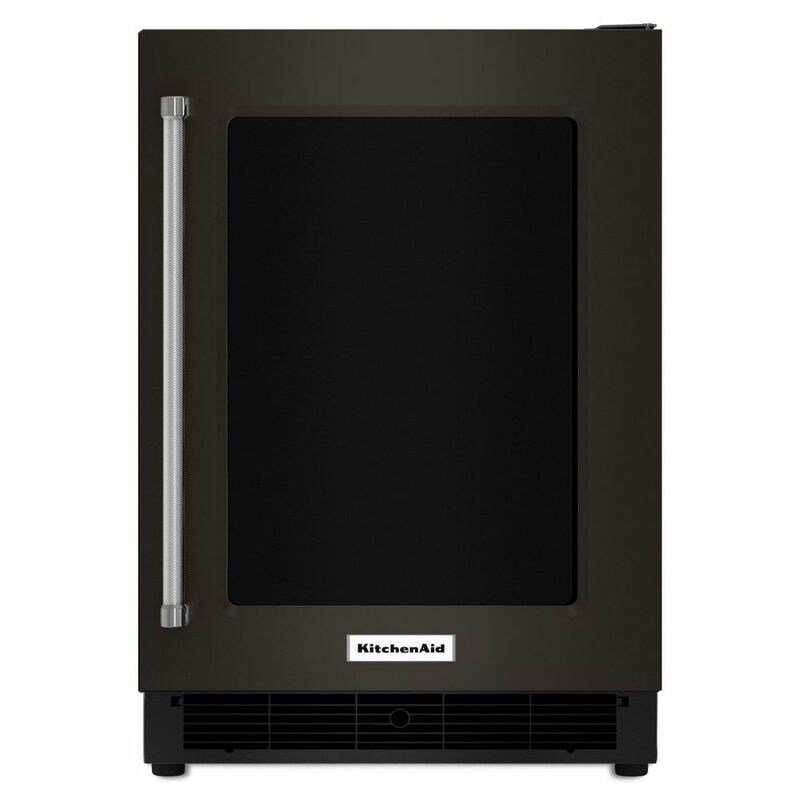 Black Stainless, 24 Inch Undercounter Refrigerator With Glass Door And Metal Trim Shelves is rated 3.8 out of 5 by 9. Rated 5 out of 5 by Debbie from Perfect for entertaining. Love the glass door.... Perfect for entertaining. Love the glass door. Rated 5 out of 5 by Oscar from Great Addition So glad I purchased this appliance, along with the rest of them. Installed easily under counter in island, which is close to back outside entrance. This appliance stores lots of beer and water bottles, as well as pop cans. Alleviates the problem of those items taking all the space up in the main fridge. Rated 5 out of 5 by JPC24 from Great product and setup was very easy. ... Great product and setup was very easy.